A blessing for every dog : The organic paw balm protects sensible paws from catching painful skin cracks, which are caused by environmental factors such as heat, saltwater, ice, road-salt or stone chippings. The compound of active substances keeps a dog’s paws soft while strengthening the skin barrier against damaging environmental impacts. 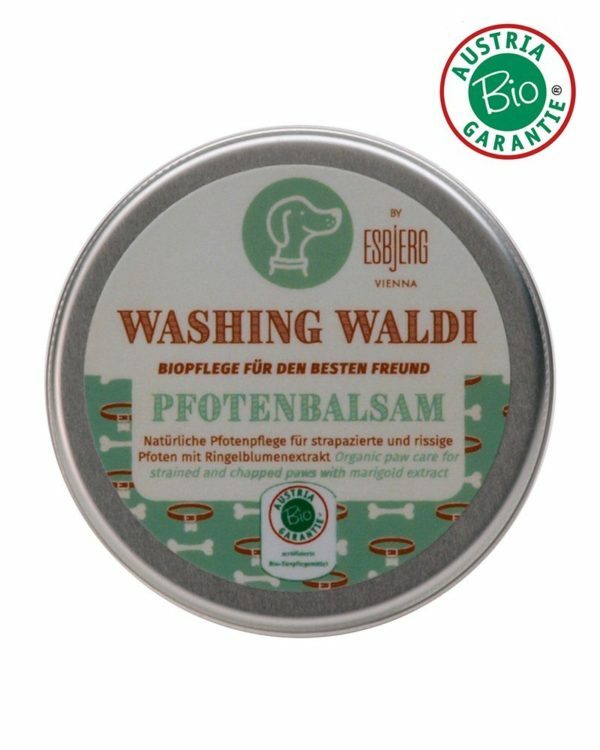 · The included organic jojoba oil with ist high amount of vitamin a keep the skin hydrated and prevents cracks from dryness, making the paw more resistant. · Organic shea butter contains a high amount of vitamin e and provides long-lasting care. · Organic pomegranate extract works as an excellent hydrator. · Organic bees wax works as a protection layer over the paw, minimizing the damaging effect of road-salt. · Organic rosemary keeps the natural pH-level in a balance and initiate a better blood circulation. · The Organic paw balm is long lasting and should be applied by massaging it into the paw before going on a walk. It can also be used for other delicate skin regions such as respiratory problems or scars. Thanks to the well-balanced formulation and conscient exclusion of perfume, the licking of the balm is no further problem! If needed, the balm can be reapplied afterwards. 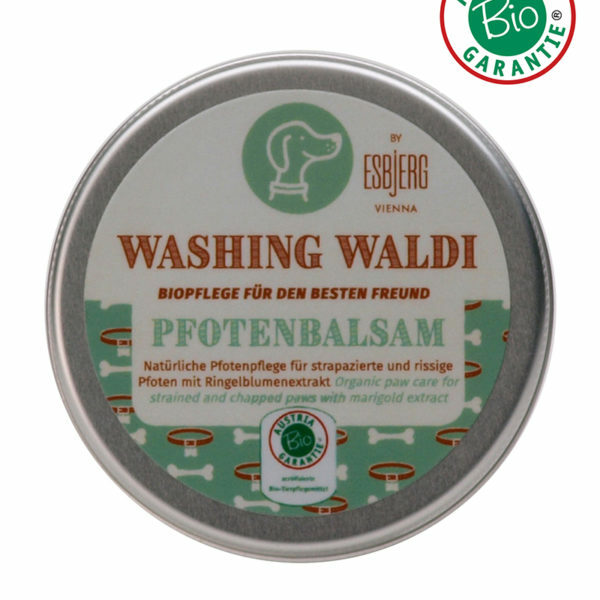 New in our product range and completely WOW-WOOF: Our natural and organic dog care line Washing Waldi by ESBjERG. A special product line for man’s best friend ranging from paw balm, nose cream to shampoo.